Lucas drinks out of what I call “Little Hammer Creek”… and, yes, this is much, much bigger than normal! Here’s to hoping all that snow on the mountain comes off gently and not too fast! 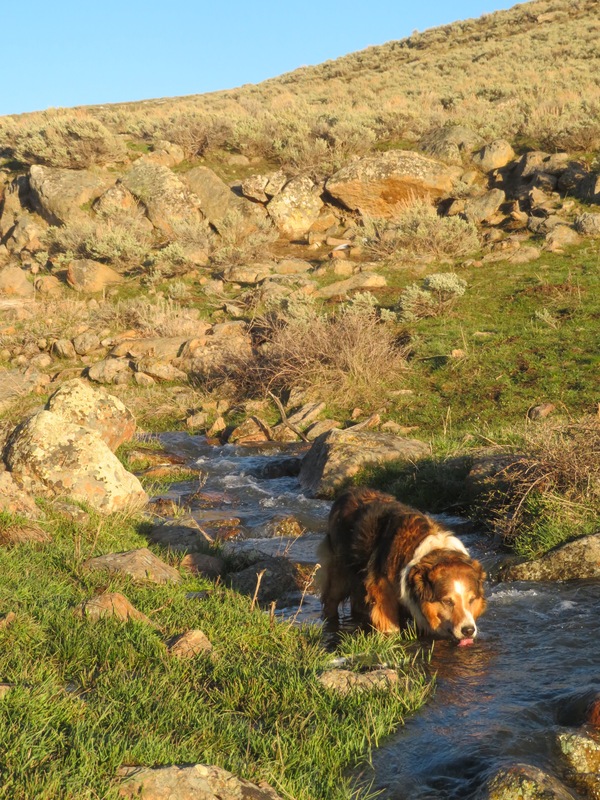 A happy dog standing in clear, clean water.